This is the second of a two part series on the centennial of Coast Guard Aviation. To see the other article, which covers the years earlier than this article, click here. By 1966 the Coast Guard had been in the aviation business for 50 years. Right around the corner, organizational changes loomed, another war erupted, new missions were identified and different aircraft were sought. Immediately, in 1967, the Coast Guard was transferred from the Treasury Department to the Department of Transportation. The Air Force was assigned the job of airborne rescue operations throughout the entire Vietnam war zone, and utilized a handful of types of aircraft for the job including HU-16 Albatross amphibians and Sikorsky HH-3 helicopters… types similar in performance to the Coast Guard Albatrosses and HH-52As. A shortage of pilots for these types led to a 1966 request from the Air Force to the Coast Guard for an exchange program that would send experienced Coast Guard pilots to fly alongside Air Force pilots. The program was signed off in mid-1967, and the first five exchange pilots – two fixed wing (Lt. Thomas F. Frischmann and Lt. James Casey Quinn) and three helicopter pilots (LCDR Lonnie L. Mixon, Lt. Lance A. Eagan, and Lt. Jack Rittichier) were sent to Air Force schools for specialized training. 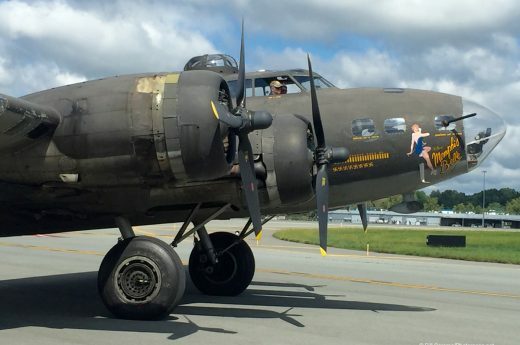 Eighty pilots originally volunteered for the opportunity. Helicopter pilots flew the HH-3E “Jolly Greens”, while the two fixed wing pilots trained on HC-130P Hercules aircraft as the HU-16 Albatross was in the process of being phased out by the Air Force. The amphibians were still active participants when the program first requested pilots. Another seven helicopter pilots would fill exchange positions in the next five years, for a total of 12 pilots. A total of 4 Silver Stars, 16 Distinguished Flying Crosses, and 87 Air Medals were awarded by the Air Force to this elite Coast Guard dozen. According to a story published by the U.S. Coast Guard Aviation Association, Lt. Casey Quinn once flew down a narrow valley in a C-130 while evading a North Vietnamese MiG-21, and may have caused it to fly into the ground… but no official victory was awarded. 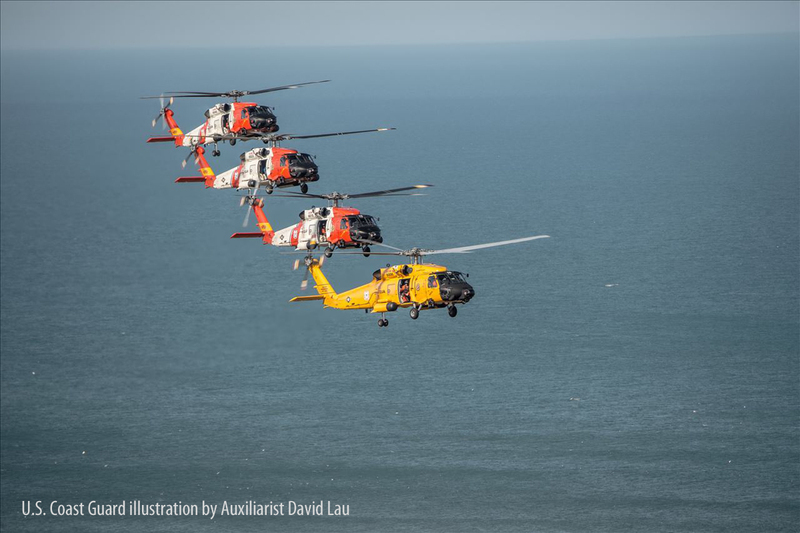 The Coast Guard aviators took part in hundreds of successful rescues, and the experience passed on to new Air Force pilots by the veteran Coast Guard pilots was highly beneficial, but it came at a high price. Lt Jack Rittechier was killed while piloting a Jolly Green on a rescue mission on June 9, 1968, the only Coast Guard aviator to lose his life in combat in the war. 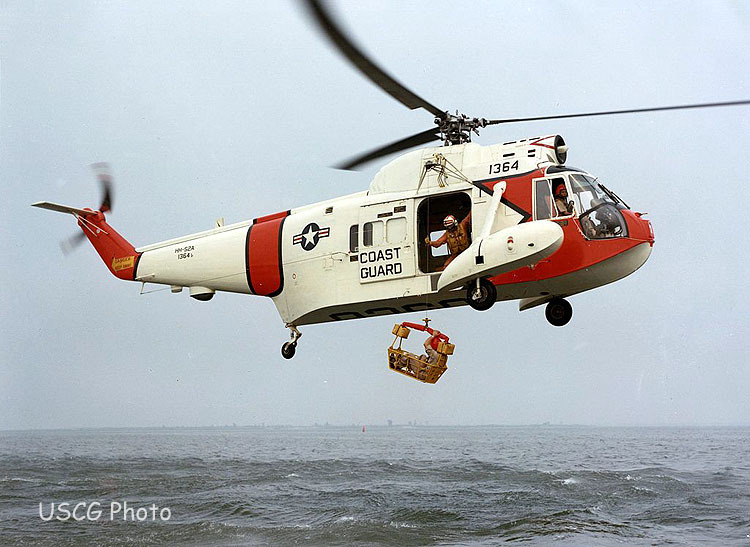 January 17, 1969 marked the 99th and final delivery of a Sikorsky HH-52A Seaguard helicopter. The Seaguard was amphibious, powered by a lightweight (when compared to past radial engine helicopter power plants) turbine engine, and had plenty of room for people and equipment. It could operate from many of the Coast Guard’s larger ships, and even worked supporting Arctic and Antarctic exploration and operations. Sikorsky Aircraft estimates the model assisted with rescues for over 15,000 people while in Coast Guard use. The Helicopter Icebreaker Support Unit, now known as the Polar Operations Division, stood up in 1969 at Air Training Center Mobile, AL. The first of 40 Sikorsky HH-3 Pelicans was delivered January 6, 1969 to CGAS New Orleans. The large helicopter was similar to the HH-3 Jolly Greens flown during Vietnam rescue duties. This helicopter not only included a rescue hoist, but a rear cargo door to better facilitate the loading and offloading of cargo and rescue equipment. Janna Lambine became the first female Coast Guard Aviator, number 1812, on April 4, 1977. The short range recovery helicopter program is introduced in 1977, which led to the HH-65A Dolphin. Also, a program is launched to replace the HU-16 amphibious aircraft in Coast Guard service, it would ultimately become the HU-25 Falcon, named initially as the “Interceptor”. It was designed by the Dassault-Breguet Mystere company of France, and faced criticism of being a non-U.S.-built airframe. Before the Falcons replaced them, the interim use of Convair HC-131A Samaritan aircraft and the final HU-16s became the last radial-engined patrol and rescue aircraft the Coast Guard would operate. This long line included P4Y/PB-4Y Privateers, PB-1 Flying Fortresses, HC-54 Loadmasters, PBM Mariner, P5M Marlin and even C-123 Provider aircraft. Turbine-powered aircraft, in the form of turboprop C-130s and Falcons, increased efficiency. In June, 1979, Coast Guard Reservist Lt. Colleen A. Cain became the first female helicopter pilot in the Coast Guard. Tragically, she was killed in a crash less than three years later while enroute to assist a ship in distress. During the Spring of 1980, a helicopter detachment is set up at NAS Key West FL to aid Cuban refugees floating from Cuba to the U.S..
March 10, 1983, the final HU-16 Albatross (“Goat”) was retired by the Coast Guard; the aircraft type was the last fixed-wing Coast Guard aircraft capable of water landings too. By the end of the year, the last of 41 HU-25 jets were delivered, which replaced them. The Anti-Drug Abuse Act of 1983 authorized the Coast Guard to, among a list of new capacities, intercept drug shipments into the United States. 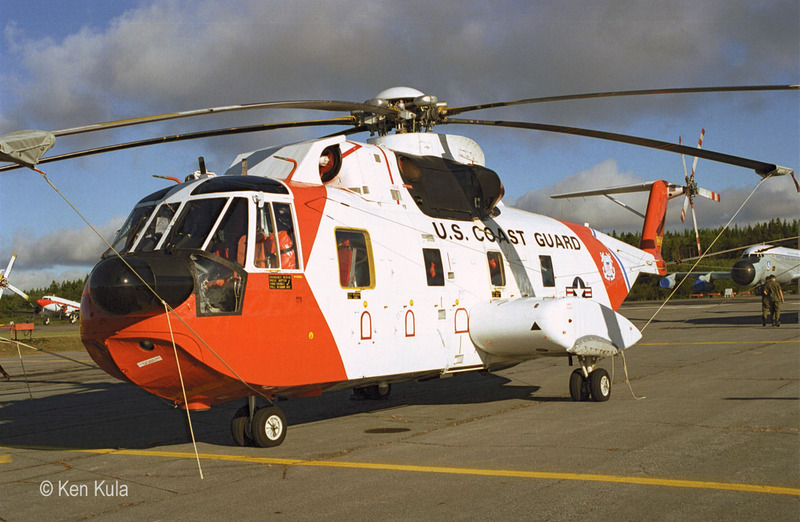 This led to a major growth in Coast Guard Aviation programs and assets. The first HH-65A Dolphin was delivered to the Coast Guard in 1984. In 1987, four Grumman E-2C Hawkeye airborne warning and control (AWACS) aircraft were loaned by the Navy to the Coast Guard, and Coast Guard Airborne Warning Squadron One was established at NAS Norfolk to help track drug smuggling aircraft entering the U.S.. In 1989, the squadron moved to St. Augustine FL, but in 1990 an E-2C crashed and the Hawkeyes were returned to the Navy the next year. A Lockheed EC-130V was modified as an AWACS aircraft, and tested for a year before being transferred to the Air Force due to budget constraints. Schweitzer RU-8A Condor and RU-38A Twin Condor reconnaissance aircraft were also procured. August 8, 1989 marked the first flight of the HH-60J Jayhawk, the helicopter that would replace the HH-3F Pelican. Forty two aircraft were produced during the production run at Sikorsky Aircraft. NASA selects LCDR Bruce Melnick in 1988 for astronaut training, he is the first Coast Guard member to fill that position. He would fly as a Mission Specialist on Space Shuttle Missions STS-41 and STS-49. 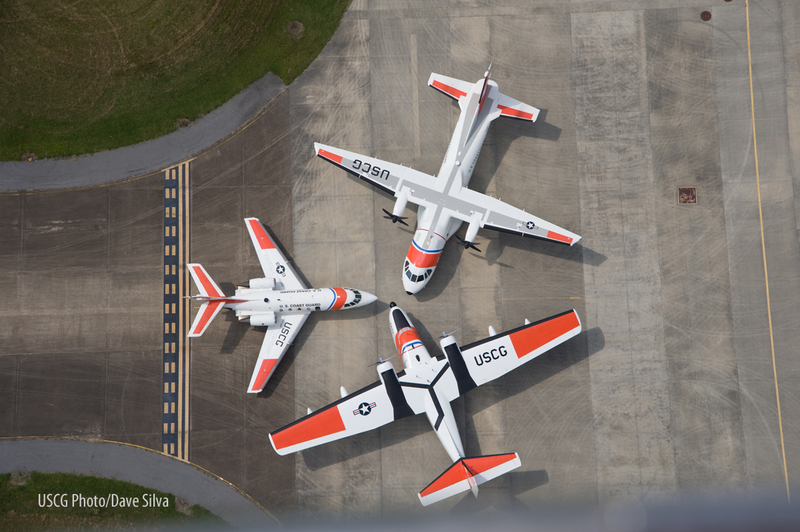 From February through April, 1991, a pair of Coast Guard HU-25B Falcons and 25 crew members operated in the Persian Gulf to help combat Saddam Hussein’s massive oil spill that had hoped to disrupt the first Gulf War. Dispatched from CGAS Cape Cod, the Falcons used their Aireye oil spill detection system to track and map the spills, so that specialists could develop plans to negate the impact and the pollution. On May 6, 1994, the last Sikorsky HH-3F Pelican is retired, and with it, the last true amphibious aircraft in the Coast Guard. August 22, 1994, a Polar Operations Division HH-65A reaches the North Pole while working with the Polar Sea, a Coast Guard icebreaker ship. The Helicopter Interdiction Tactical Squadron, better known as the HITRON, was established in 1998. Main duties were to establish procedures and operate against fast boats (“Go-Fasts”) used by smugglers infiltrating U.S. waters, especially off the Florida coasts. This involved Coast Guard cutters, armed helicopters, and other assets. The HITRON was first set up in Jacksonville FL. Originally, helicopters deployed were MD Helicopters’ MH-90 Enforcers; they were replaced with Augusta A-109E Power/MH-68A Stingrays after a lease ran out. Finally, after the Stingrays’ lease was completed, existing Dolphin helicopters were utilized. In reality, these were not the original –A versions, but MH-65Cs, which had received upgrades from the original version, and gained an armament capability. In May, 1999, tests off of Key West FL with a XV-15 tiltrotor gave a comparison as how a planned Bell Augusta BA-609 tiltrotor would operate off of a Coast Guard Cutter. The tiltrotor program was not carried through though. 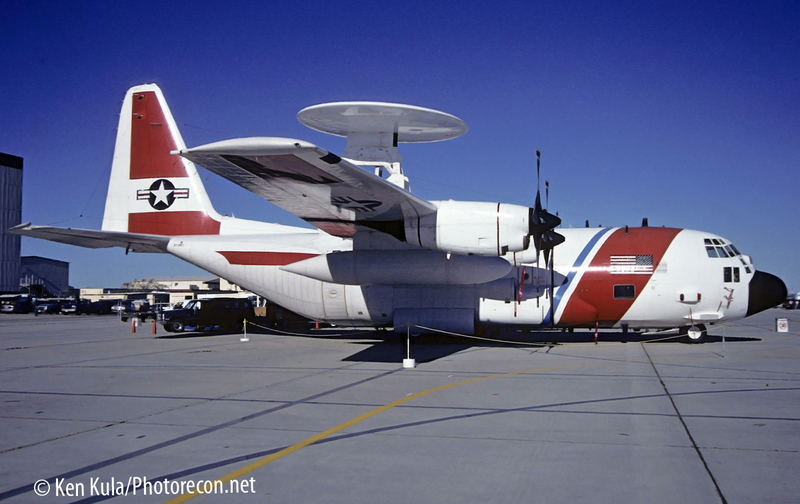 On November 24, 2000, the Coast Guard launched a new Aircraft Acquisition Office, to oversee projects such as the C-37 VIP transport and C-130J Super Hercules long range transport/patrol aircraft. A pair of C-37As, a version of the Gulfstream V, would replace a former military C-20 (Gulfstream 3 jet) and a Canadair Challenger jet as VIP and long range logistics aircraft. In 2001, the fist HH-65B Dolphin was delivered with advanced avionics. On September 11, 2001, the attacks on the World Trade Center and the Pentagon galvanized defenses throughout the country and the Coast Guard. The Service would be transferred to the new Department of Homeland Security on March 1, 2003, becoming a layer of defense for our 50 states, whereas the Department of Defense Branches focus outside the country’s borders. 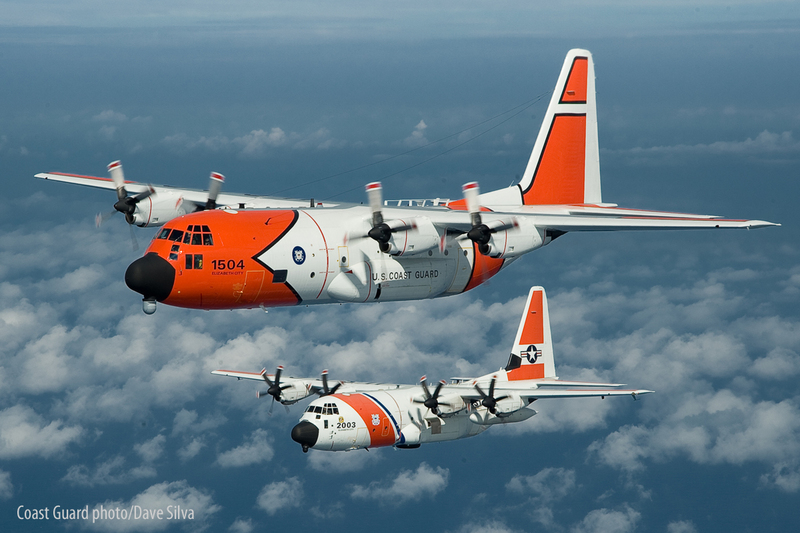 In 2002, the program that would eventually name the CASA CN-235A as the Coast Guard’s new Medium Range Surveillance mount was initiated. 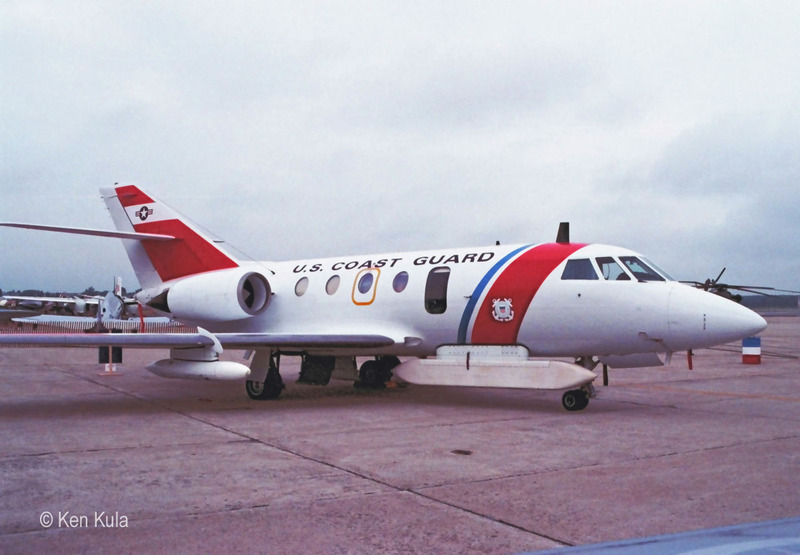 With an endurance of up to 10 hours, and palletized, custom mission equipment and standardized mission software/hardware, the Coast Guard received 18 of the HC-144A aircraft, replacing the HU-25 Falcon. The first HC-130J is ordered in 2003, with plans to eventually replace all HC-130H aircraft with 22 newer –J versions. The aircraft performs the heavy transport and long-range patrol missions. The –J represents a 20 percent increase in speed and altitude performance, and a 40 percent increase in range when compared to the legacy HC-130H, which had already improved upon the initial HC-130Bs’ performance. Avionics in the –J version are similar to the new HC-144 Ocean Sentry too. 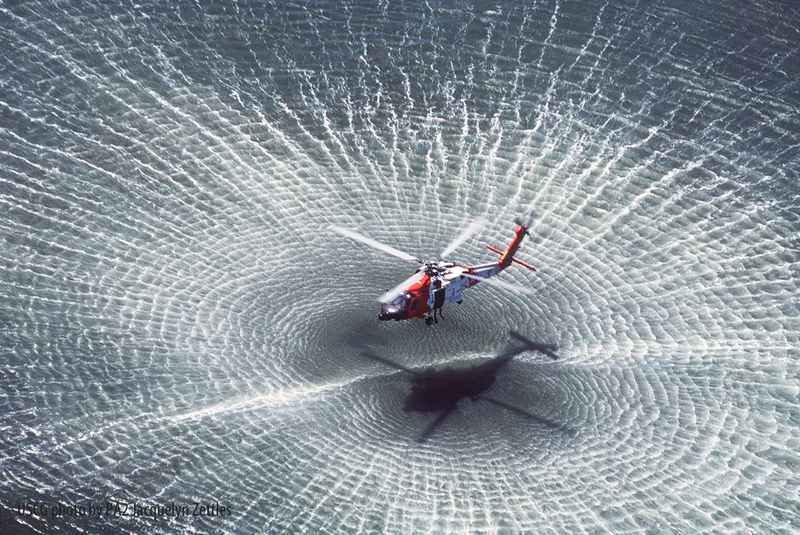 In October 2004, the first HH-65C Dolphin is delivered with new engines and different mechanics, the results from a Coast Guard evaluation centered around safety issues with original turbine engines installed in HH-65As. 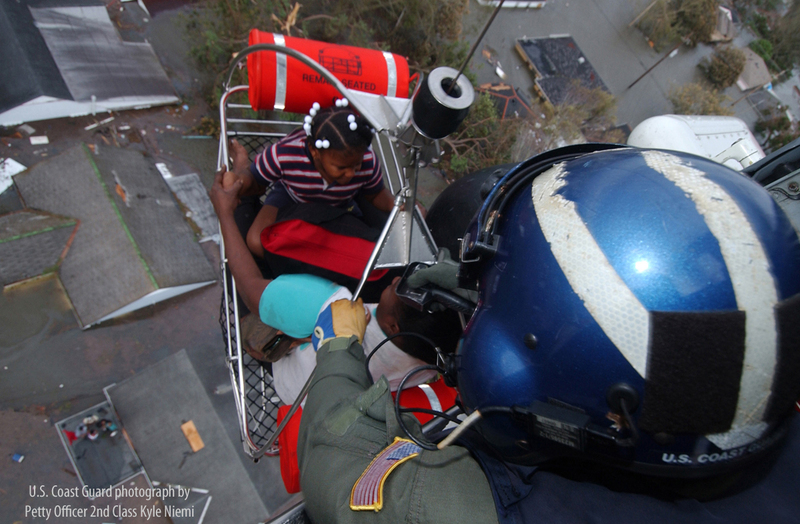 During September, 2005, Coast Guard helicopters operating from ATC Mobile AL, CGAS Houston TX and hard-hit New Orleans LA areas respond to the devastation left behind Hurricane Katrina’s landfall. Coast Guard crews and aircraft from around the country performed 24,135 rescues of people in peril, and made 9,409 medical evacuation flights during rescue and recovery operations. Hundreds of air crew and maintainers from nation-wide facilities rotated through available aircraft, and due to Coast Guard training standardization, seamlessly worked with other crew members from other air stations for weeks at a time. At peak, 62 Coast Guard aircraft – the majority being helicopters – and 14 Coast Guard Auxiliary aircraft were at work in the battered area within a week after the hurricane made landfall. It has been said that the response efforts were some of the largest in Coast Guard history, and their efforts were some of the finest hours in air/sea rescue history. 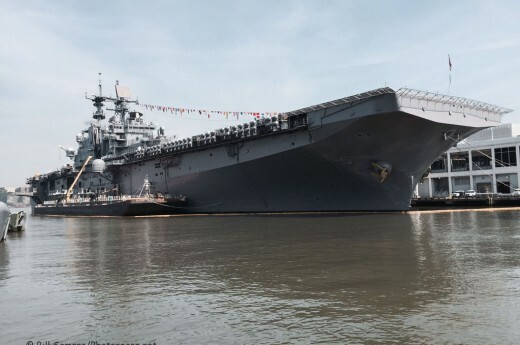 In 2006, Coast Guard Commandant Admiral Thad W. Allen announced that 91 cutters (ships) and 195 aircraft would form a large part of the “Integrated Deepwater System” or IDS, which would improve the Coast Guard’s “Shield of Freedom” in the future. Deepwater also provided for “a significant improved ability to detect, engage and deter those activities that pose a direct challenge to U.S. sovereignty and security.” Many programs geared up for operations more than 50 miles off of the U.S. shoreline, expanding patrols and gathering more information. Unmanned Air Systems were part of this system too. Also, in the late summer of 2006, the Coast Guard took over the Air Defense Identification Zone (ADIZ) air patrol over Washington DC from the U.S. Customs and Border Patrol. Atlantic City-based HH-65C Dolphins with added radio capability and lighted signs patrolled the sovereignty of our nation’s capital airspace, and an air station at Washington’s Reagan National Airport opened to facilitate the new duty. 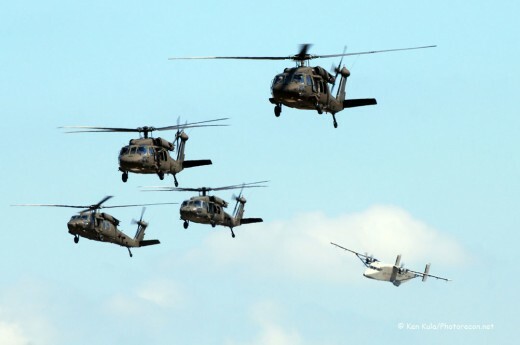 By the end of 2007, 99 HH-65s were identified to be updated with more powerful engines, avionics, sensors and communication equipment, becoming MH-65Ds. In fact, the engines deliver 40 percent more power than original ones. The first MH-60T Jayhawk was delivered on June 3, 2008 after modifications at the Aviation Logistics Center at Elizabeth City NC. Forty two Jayhawks will be modified into the –T version, including a trio of retired Navy HH-60 airframes. New equipment upgraded sensors, communication and navigation gear, and added an armament capability in a program that began in 2007. As directed by the Defense Authorization Act of 2014, seven HC-130Hs were transferred to the U.S. Forest Service. 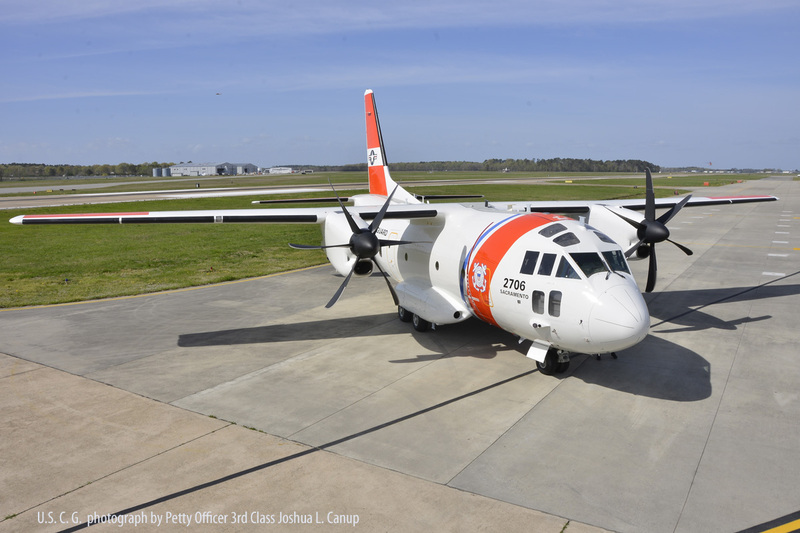 In return, the Coast Guard will begin the operation of 14 C-27J Spartans, a quickly-retired, Air Force-ordered twin engine transport that will be regenerated from storage at the 309th AMARG “boneyard” in Tucson AZ, and completed at Elizabeth City, NC through 2017. By 2018, the aircraft will be fitted with radars, sensors, and communications gear that will be common in C-130J and HC-144A aircraft too. On December 16, 2015, the final MH-65D conversion was delivered. Almost two months earlier, what is envisioned as the final upgrade of the Dolphin, the MH-65E, first flew. This enhances the cockpit with all glass instrumentation, allowing it to operate, as planned, through 2027.